The DRC is a competition of robot systems and software teams vying to develop robots capable of assisting humans in responding to natural and man-made disasters. It was designed to be extremely difficult. The robots will attempt to a circuit of consecutive physical tasks, with degraded communications between the robots and their operators. Participating teams, representing some of the most advanced robotics research and development organizations in the world, are collaborating and innovating on a very short timeline to develop the hardware, software, sensors, and human-machine control interfaces that will enable their robots to complete a series of eight challenge tasks selected by DARPA for their relevance to disaster response. 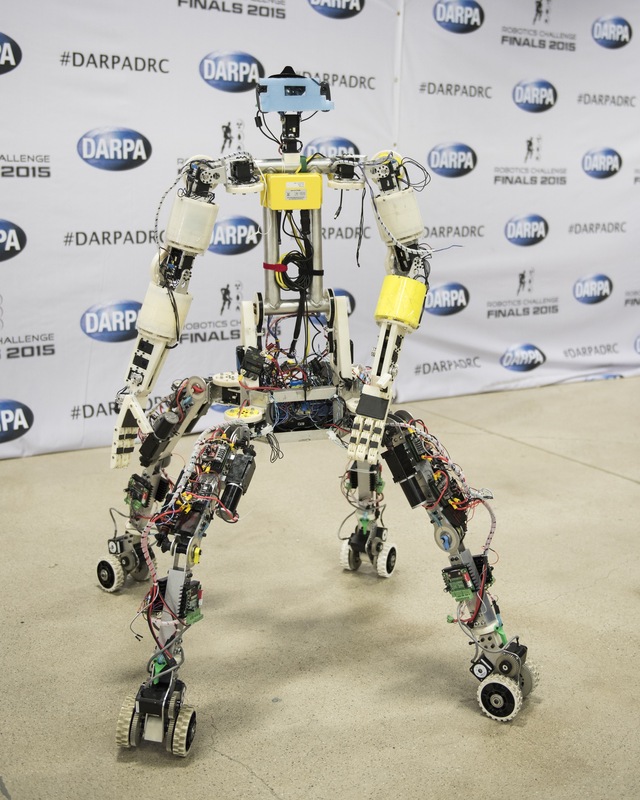 The winning team will receive a $2 million grand prize; DARPA plans to award $1 million to the runner-up and $500,000 to the third-place team. There are roughly 15 different commercial and custom physical robot forms participating in the DRC Finals, with seven teams using the upgraded Atlas robot from Boston Dynamics. Each team develops its own unique software, interface and strategy for their robot. The custom-designed Cog-Burn features 34 electric servo motors that enable him to walk and use his two arms and hands. The team recently replaced Cog-Burn’s legs to give him a wider range of motion. Team Grit previously competed as Team Mojavaton in the 2005 DARPA Grand Challenge and the 2007 DARPA Urban Challenge. Team Mojavaton developed an autonomous Nissan Xterra that finished in 13th place (out of the 195 original teams) in the 2005 DARPA Grand Challenge. The DRC Finals event is free and open to the public. 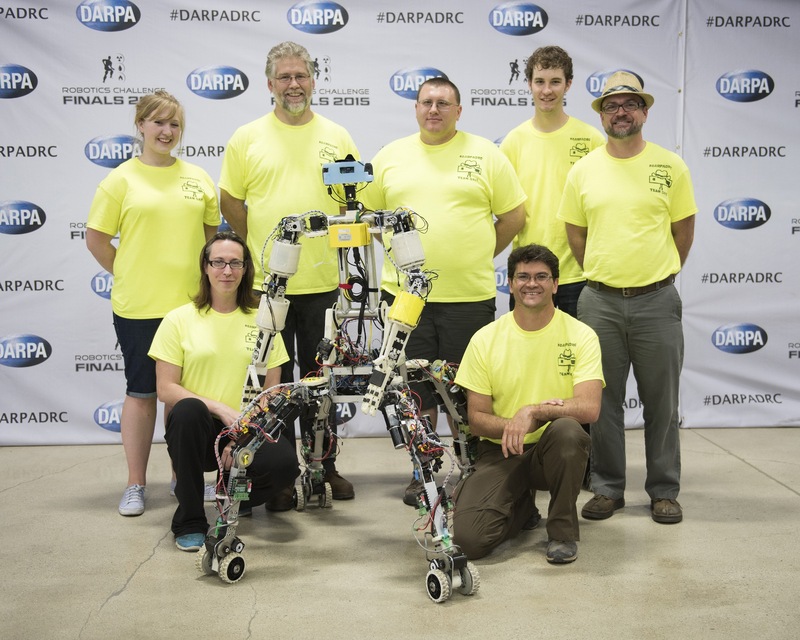 In addition to the competition, an on-site robotics exposition (DRC Expo) will showcase technology related to disaster response, robotics, and unmanned aerial systems, and include an overview of DARPA’s mission and legacy.